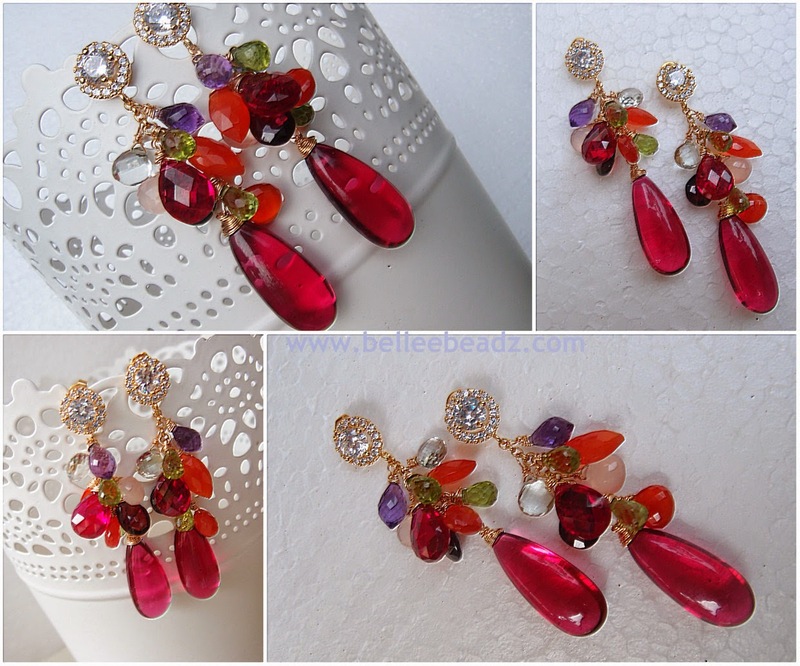 This is a pair of lovely earrings comprising different shapes, colours, surface finishing......briolettes. The focals are a pair of smooth shocking pink quartz and the rest of the menagerie are also briolettes......prehnite, carnellian, peridot, amethyst, rose quartz garnet and pink quartz......how much more cheery can we get? Have a good day/evening everyone!